As I wrote in my post, I was excited and anxious about our trip to New Zealand. 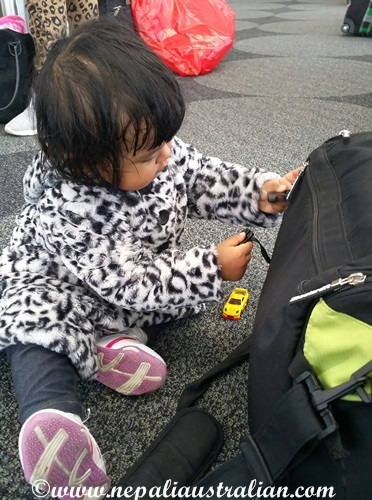 I was excited for Chhori as it was her first overseas trip but scared for myself as I didn’t know how I would handle her if she started to cry or threw tantrums in the plane. Our flight was at 9 am so we took a cab to the airport very early. Luckily, Chhori woke up on her own around 6 am so things worked out perfectly. We had a bit of drama for the cab but we reached the airport on time and checked in and were in front of boarding gate by 7 am. Like last time, Chhori was walking around and saying “Hi” to everyone around us in the waiting lounge. She made friends with a few of the air hostess from Emirates. They were really nice and sweet with her and Chhori loved all the attention. Then it was time for the actual test: 3 hours flight with a toddler. The good news was that she was well behaved and happy the whole flight. She just ate and interacted with people most of the time. 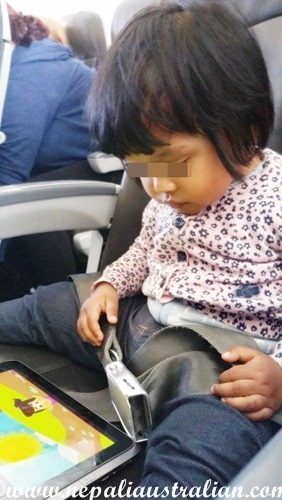 We also had a tablet ready for her just in case she got cranky but she was not interested in her rhymes for a long period. She would rather walk up and down the aisle. Everyone on-board were very sweet to her when she went in front of them randomly and said “Hi”. On our way back she even made friends with a family who had two kids around 6 and 8 years. They were happy to take her for almost an hour, so she sat on the mum’s lap playing with crayons and toys. The kids were playing with her and she was delighted to play with new people and toys. I really appreciated having such lovely people on-board our flight. So overall, Chhori was well behaved on the plane and our next big test will now be during our big trip to Malaysia and Nepal next year. Hope it will be as easy as this one. As I and AS had been to New Zealand multiple times, this time we made sure we knew what we were doing every day in advance. We flew to Auckland and spent a few days in Hamilton and the rest of our trip in Auckland. When we left Sydney, it was warm and sunny for winter but New Zealand was really cold and chilly. Once we landed, we hired a car and went straight to Hamilton. Hamilton is a small beautiful city 2.5 hours from Auckland airport. By the time we reached our hotel, it was dark and was drizzling a little. We checked in and were glad to find our rooms were warm and cosy. We ordered our dinner and just rested for the evening as we planned to go to the Hamilton Zoo the next morning. The next day, we were greeted by a beautiful sunny day and were glad there would be no rain for the rest of our time in Hamilton. Our hotel was next to a golf course so we could see greenery when we opened the window. I felt very relaxed and happy and so did AS and my parents. On the other hand, Chhori was too excited discovering new rooms, opening every drawer and cupboard :). It definitely made us realise how much we have done at our own place to childproof the rooms. We don’t have to worry at all to leave her on her own in our apartment but at the hotel, it was hard to be constantly making sure she didn’t hurt herself or break something. After breakfast, we drove towards the zoo . I was driving that morning and, it was a breeze to drive there in comparison to Sydney, no road madness and no crazy drives. It made me realise it may be a great idea to live in a small city where getting from one place to another is not a big headache. I will write about our trip to Hamilton Zoo in my next post. 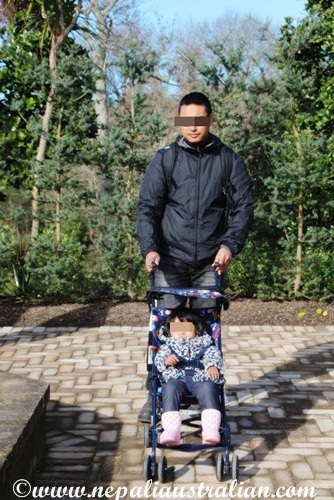 This entry was posted in Holidays, New Zealand, Travel and tagged Auckland, Australia, australian, australian nepali, baby, chhori, family holiday, M from nepaliaustralian, mum, Nepal, Nepalese, Nepali, nepali australian, Nepali blog, Nepaliaustralian, nepaliaustralian blog, New Zealand, parents. Bookmark the permalink. Thank you so much. For me she is definitely amazing and lovely but I am her mum :). Hopefully, one day you got to meet her too. Love to meet you :). 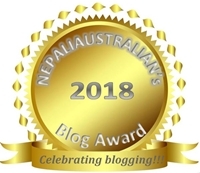 I will be in Nepal February next year, when are you planning?